Keurig K500 vs. Keurig K550 | What's Best for you? » Keurig K500 vs. Keurig K550, What’s Best for you? Keurig K500 vs. Keurig K550, What’s Best for you? Keurig is known for making some really exceptionally simple to use coffee makers. All of their models get top marks for ease of use and quality, but what distinguishes one from another? When comparing two like-models, it can be tough to tell how they differ, especially when looking at model upgrades like the K500 and K550. The Final Shot: In this match-up, the K550 is the better machine, for the very simple reason that it comes with a built-in water filter and extra pods. Those are the only real differences between the K500 and 550. It is likely that both will soon be phased out for the new K575 which offers extra filter refills and a color-customizable nightlight. In this article we are going to dive in and take a close look at the features of both the K500 and the K550, you’ll notice pretty quickly that they share more common features and are only different in two key ways. We’ll explore both similarities and differences so you can determine the best fit for your kitchen. 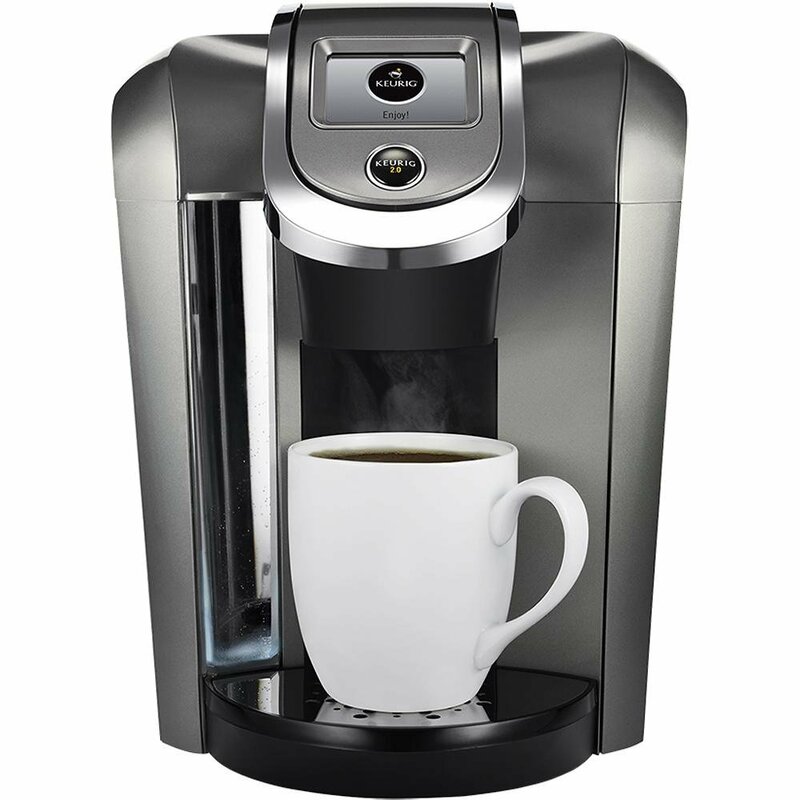 Both the K500 and K550 coffee makers utilize the latest revolutionary Keurig 2.0 brewing technology. With Keurig 2.0, the machine is able to read a tiny barcode under the lid of the coffee pod to automatically calibrate the machine for the ideal brew settings for that particular type of coffee. Operation is still intuitive with simple single-touch buttons or on the LCD touch screen display. Both the K500 and K550 offer large 3’’ color control panels. There are even options for customizing background wall paper of the screen to suit your individual taste for color and pattern. What is really special for the later model Keurig machines into the 2.0 line is that Keurig has made different sized coffee pods for different amounts of brew. You are no longer limited to single serve and can brew for a K-Cup, K-Mug or K-Carafe. K-Carafe filters come in various volumes too, including 4 and 6 cup. As you have comes to expect from Keurig, brewing is speedy, taking just about 60 seconds for a single cup and about five minutes for a 4-Cup carafe. Keurig has also made both the K500 and K550 compatible with a reuseable K-cup coffee filter so you can use your own ground beans, if you have a particular favorite, and reduce your carbon footprint by eliminating the single serve pods that get tossed after each use. Both models are also easy to maintain. The removable lid makes for quick clean up and the whole unit is top shelf dishwasher safe. Both machines can be pre-programmed over a 24 hour period so you can literally wake up in the morning to the smell of coffee. It really does help you start the day, trust me. The K500 and K550 are supplied with a Keurig 4-cup starter carafe. This is designed to fit easily under the machine with the drip tray removed. When brewing a carafe of coffee, the machines have sensors that indicate when you have correctly placed the carafe to ensure that the coffee will pour directly into the top without any spillage. Both machines have 80oz water reservoirs which will give you approximately 15-20 coffees before you have to refill the tank. The water reservoirs are easily removed to both refill and clean. A bonus feature on these models is a nightlight that is fitted behind the water container to illuminate the machine and surrounding area if you are operating in dimmed lighting. This light can be programmed to switch on and off according to your habits. The K500 and K550 are supplied with a top needle cleaning accessory, so that you can regularly maintain your machine to ensure it runs well and lasts. It pays to keep a regular maintenance schedule and descale the machines, especially in hard water areas. As for dimensions, the K500 and K550 both share the same dimensions of height 10.4’’ x width 13.6’’ x and depth 13.4’’, so they take up a relatively small amount of counter space. 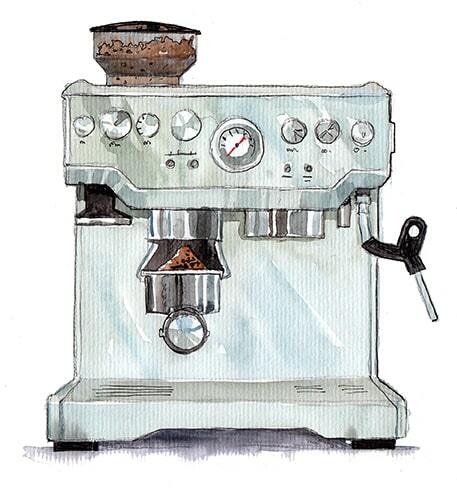 There are not nearly so many differences between the K500 and K550 and that is the difficulty most coffee lovers run into when trying to select a machine. How do you know which one is a better fit? The main difference between the two machines at time of purchase are the accessories. The K500 is supplied with 2 K-Carafe pods and 4 K-Cup pods so that you can try a few coffee blends right away with your purchase. The K550 comes with 4 K-Carafe Pods and 6 K-Cup Pods, giving you slightly more choice to sample. Even if you already have a favorite brand of coffee, I recommend you have some fun taste testing a few other options. You may find you prefer one brand in the morning, but another after dinner. With these machines you can also vary the strength brewed from each pod to really customize the experience. The second key difference between the two machines is the addition of a water filter. The K500 does not come with a water filter, although it can be purchased separately. The K550 is supplied with a water filter handle and cartridge. The need for filtering water depends on the quality of the water you are intending to use and also the amount of minerals that are found naturally in the water. Calcium buildup is one of the biggest maintenance issues with coffee machines, as it will build up residue throughout the machine and block outlets. The easiest way to deal with calcium build up is to filter it out before it enters your machine. The Keurig K500 and K550 are just different versions of the same machine. The K550 is the upgrade, offering the water filter and more included pods with the purchase. It is likely that it will soon come to replace the K500 entirely, even though both are still available for sale at the time of writing. The key takeaway is that both machines offer the same functionality, user experience and overall design. 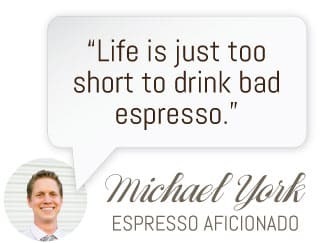 Both brew great tasting coffee and offer a lot of user customization to create the best home coffee experience possible. It is also worth noting that Keurig has introduced an updated model for the K550 with the K575. It offers the same features as the K550, but also includes extra water filters in the initial purchase package. The night light is still incorporated, but you can choose to customize which color it beams out into your kitchen. Some of you might also be attracted to the fact that he K575 can pour a 12oz coffee now, which is perfect for those tall travel mugs.